When conducting Social Media lectures I’ve always found starting the session with some hard hitting stats and facts is a great way to capture an audience’s attention. That’s why I’m such a fan of Eric Qualman‘s Socialnomics videos. He has just refreshed his Social Media Revolution series for 2013 so I’ve included it below. However, despite the fact we’re only 2 weeks into 2012, there have already been a few changes which could see drastic improvements in Google +. Google have now incorporated Google + into their search algorithim. Explaining this choice on their official blog, Google noted this will make user’s searches more relevant to them as it will incorporate their friends’ actions on that given subject. This news was not welcomed by Twitter, who pride themselves as the primary Real Time News Social Network. This move could see Twitter’s “News Throne” usurped by the new challenger Google + when using the world’s largest search engine as leverage. 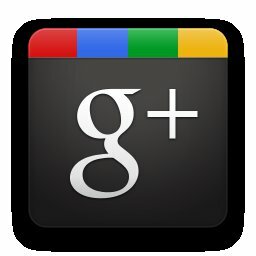 What other tools does Google Plus have at it’s disposal? YouTube, the world’s second most used search engine and the revolutionary spark that set the Digital Video ball rolling. This facility is being highlighted by celebrities and leading world figures such as The Black Eyed Peas front man Will.I.Am, the Dalai Lama and Archbishop Desmond Tutu. And on 19th of January David Beckham’s fans will be given the chance to join their footballing hero at a Google Plus Hangout. These strategic moves will no doubt provide a much needed health and publicity boost to Google Plus and could go a long way to reactivating those many accounts registered in June 2011. If you would like to learn a few Google Plus tricks see the “Google Plus Cheat Sheet” below developed by Techno Streak.